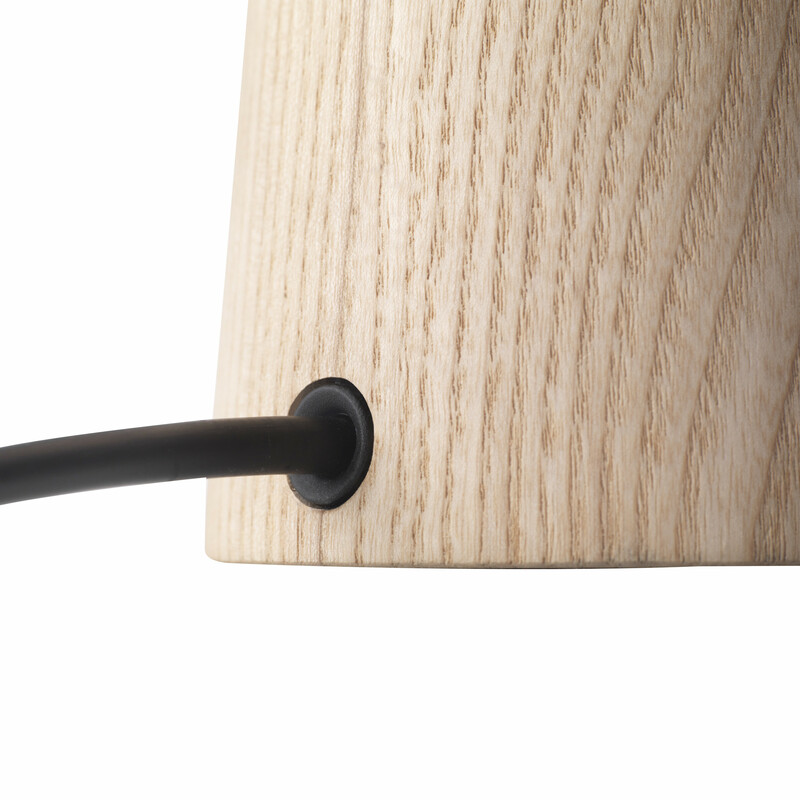 Night Owl is a discreet table lamp with a strong personality. 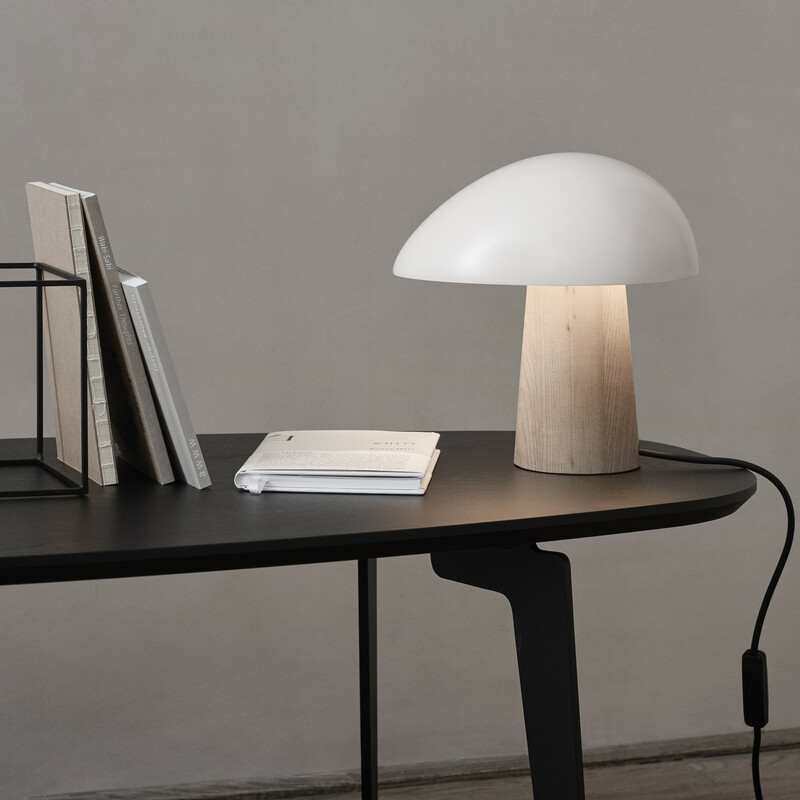 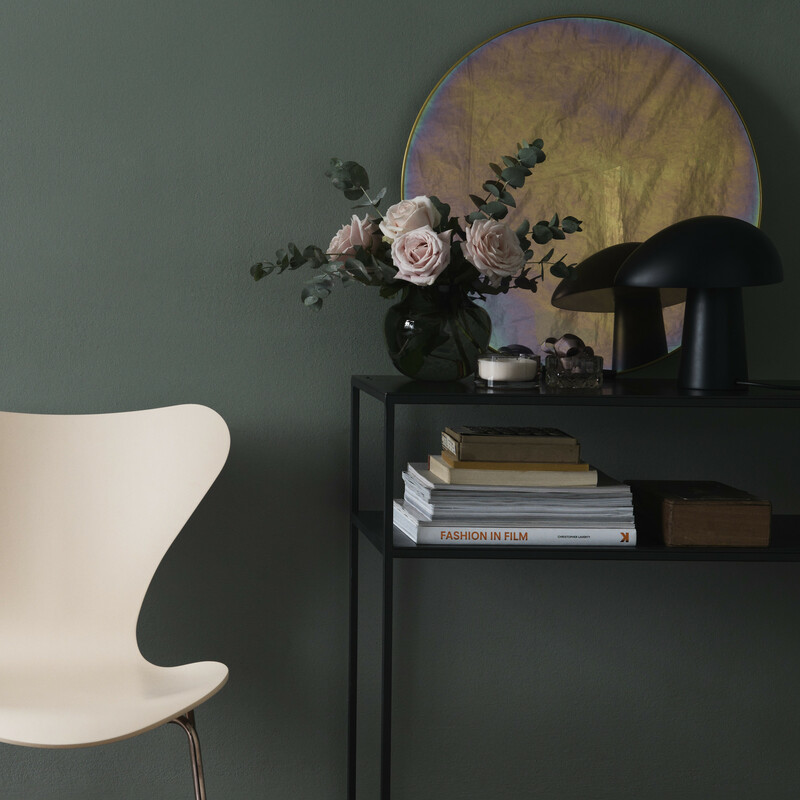 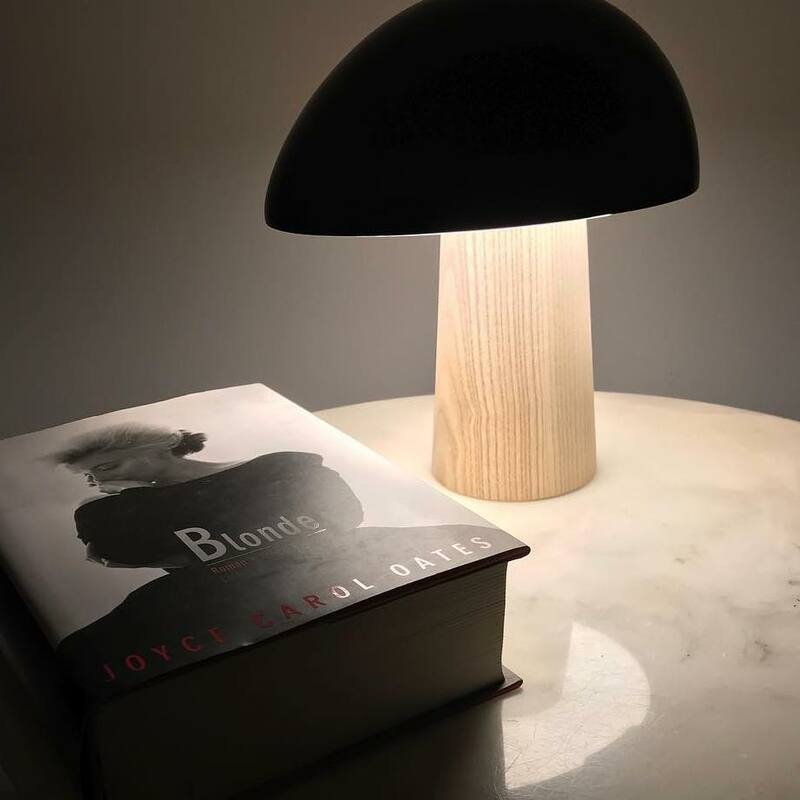 Its oval base plays with its asymmetric lampshade, which can be placed in 4 different positions allowing the black cable to exit the lamp in the desired direction. 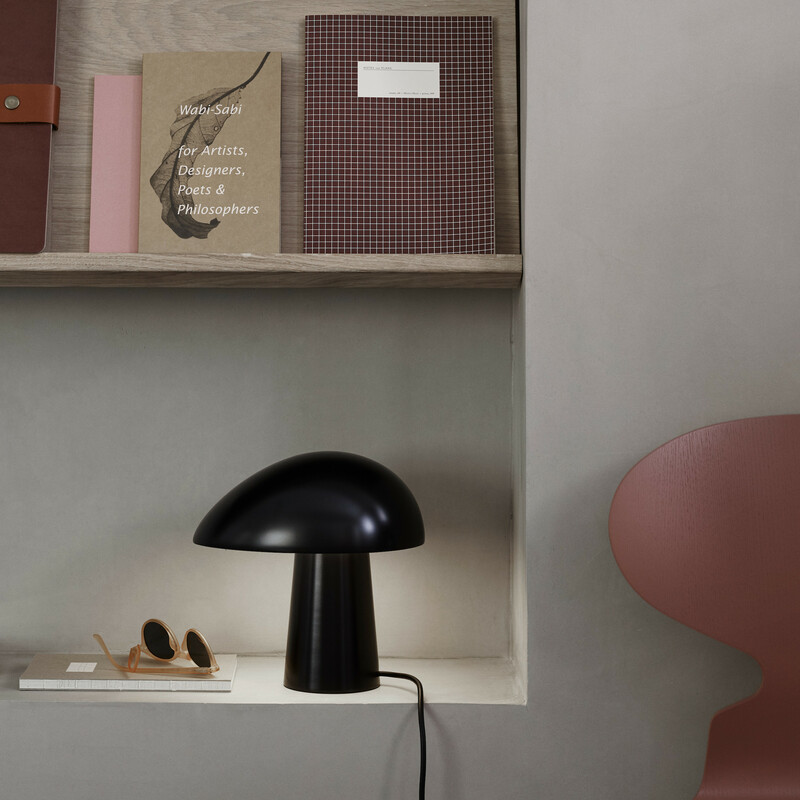 The Night Owl table lamp casts a downward conical light. 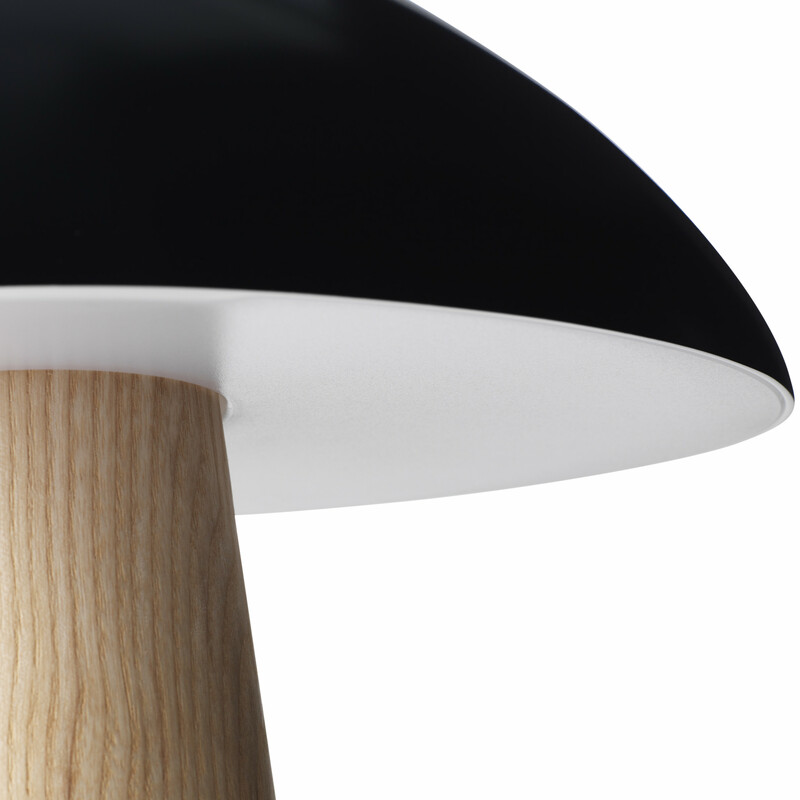 It looks great on a desk, a shelf, a dresser, a window edge. 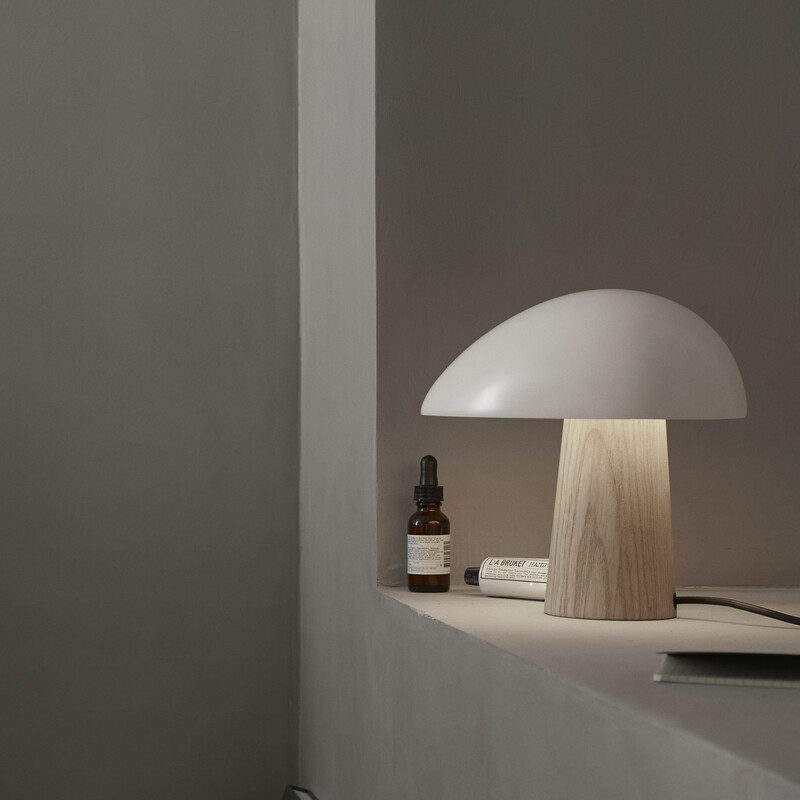 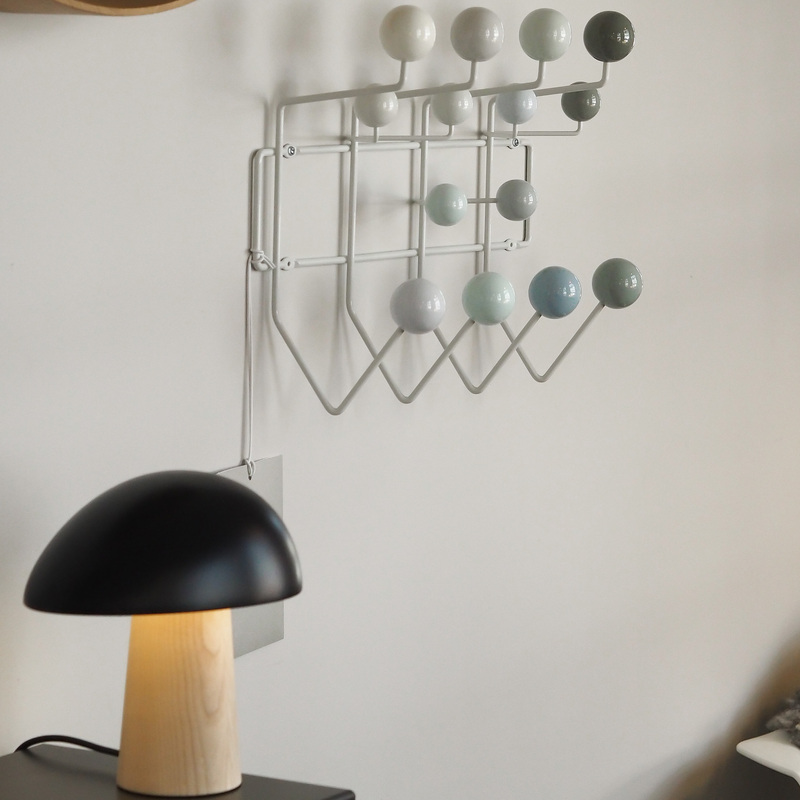 The lamp is available in 4 versions, characterized by the material of the base – natural wood or painted aluminum – and colour of the lampshade – Midnight Blue and Smokey White.